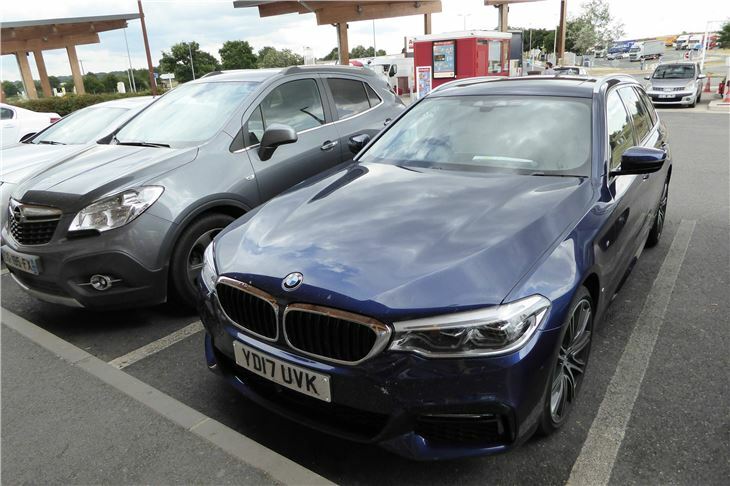 We tested the 2017 BMW 5-Series Touring for half a day here. And the G30 530d on a 1,500-mile road trip here. Dan Powell tested the 530e i-Performance here. 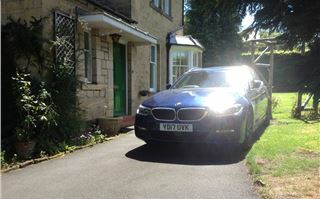 But it wasn’t until I drove this extremely complex car on familiar UK roads that I finally got to grips with it. To change the speedometer from KMH to MPH, first press the I-Drive ‘MENU’ button. Then, from the sub-menus, select ‘MY VEHICLE’. Then, from the sub-sub menus that pop up, select ‘I-DRIVE SETTINGS’. Then, from the sub-sub-sub-menus under that, select ‘UNITS’. Then, from the sub-sub-sub-sub menu under ‘UNITS’, change ‘KM’ to ‘MI’. Piece of cake when you know how. But the inch-thick driver’s manual doesn’t tell you how. You need to use German logic. Another quirk of German logic is that when reverse is selected the nearside mirror dips so you can see the kerb. 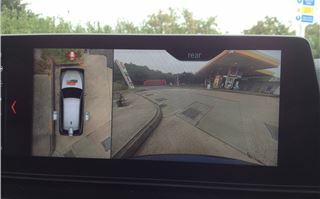 To stop it doing this, you have to move the mirror selector switch to the driver's door mirror. Obviously, when you buy a car like this, familiarity breeds content. You know what to do. 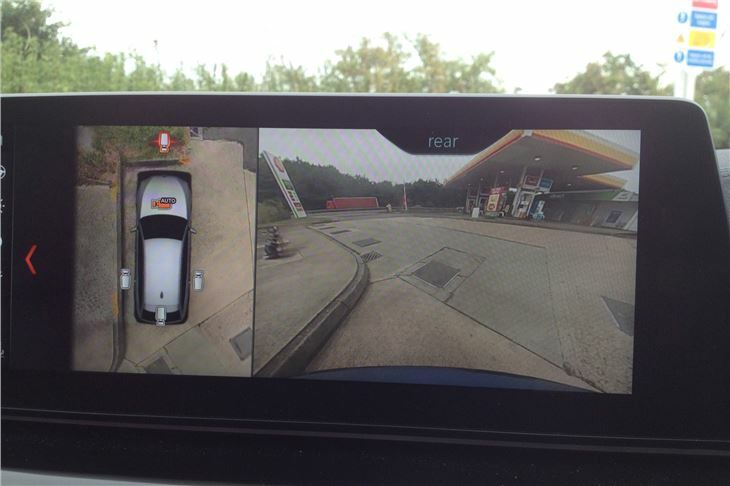 But these days we are increasingly faced with a bewildering range of vehicle setting options and I seriously wonder how many ‘road testers’ given a car for half a day, or even three days, get right to the bottom of them. In my case it’s been a G30 for 3 days, a G31 for half a day, and finally a G31 for 6 whole days. And only now am I really feeling at home with it. But it was worth the journey. On the console, you get the option of ‘Sport’, ‘Comfort’, ‘Eco-Pro’ and ‘Adaptive’ settings. And you can customise each of these to your ‘Individual’ preferences, for steering, throttle, gearchange and chassis response. The first thing to do is select ‘Sport’ steering, otherwise it’s accurate, but floppy and lifeless. 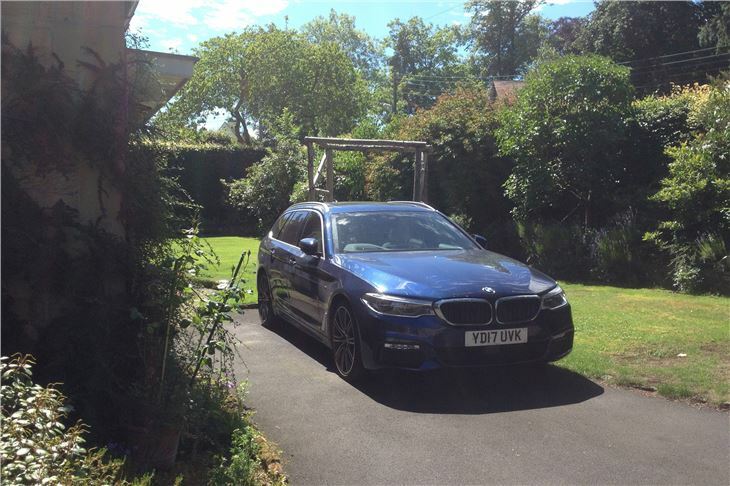 In ‘Sport’ with xDrive and optional Electronic Damper Control (£985), it’s lovely, allowing you to accurately place the car whether driving quickly cross-country or manoeuvring through medieval city streets. 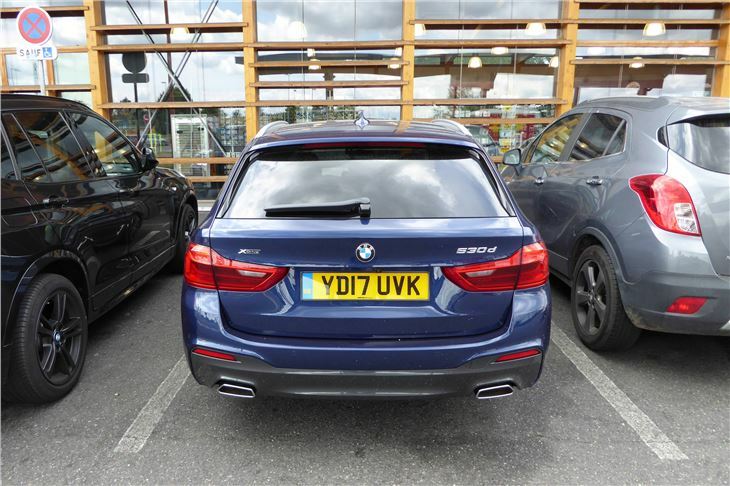 With the UK press fleet specced up with 20-inch wheels with 245/35 front tyres and 275/30 rear tyres, you’ll probably want to opt for ‘Comfort’ most of the time and let the rear air suspension soften things up. A word of warning, though. 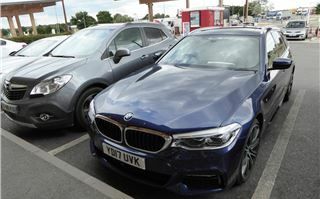 Despite the cars xDrive four wheel drive, ‘Comfort’ can have it flopping about on roundabouts like a freshly hooked fish. It’s okay for motorways, though. If you want to get moving seriously quickly, ‘Sport’ is the obvious choice and you will enjoy ferocious acceleration as the 8-speed box holds it s gears, together with a controlled, but close to rock-hard ride. The compromise is ‘Adaptive’, and this works well by giving you decent suspension compliance on bumpy straights, then a stiffening up through the turns with ‘Sport’ style acceleration when you get your toe down. It’s great for ‘A’ roads when you sometimes need that to overtake safely. In ‘Adaptive’ on a route the twists, turns and undulations of which I know better than my passport number, it’s great. Far faster than I need a car to be, but with enormous capability in reserve. And, on top of that, outstanding fuel economy. 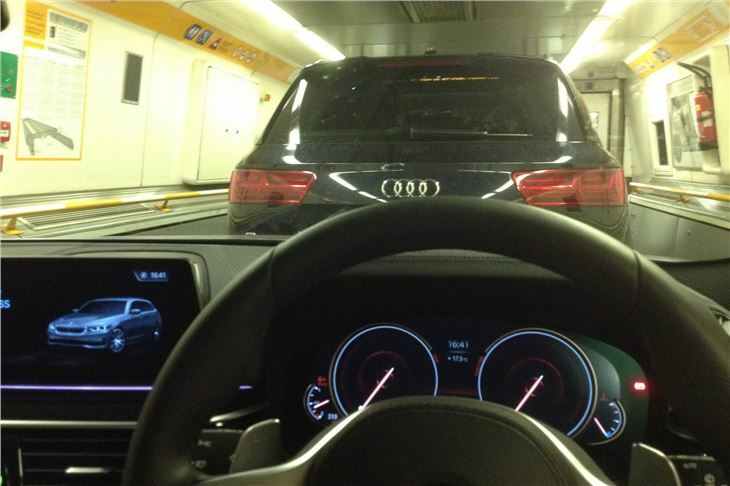 Crossing France at the French Autoroute limit we averaged just over 40mpg. Our route took us from Marseilles via Arles to Nimes, then north over the Millau viaduct up to Orleans. The final stage was Chartres-Dreux-Evreux-Rouen-Abbeville to Calais (vin). Then shuttle under the channel back to Heathrow. However, on my own, on a 650 mile trek to and from Northumberland I saw 47mpg on the meter. And that wasn’t always hanging about. Not bad for 265HP and 620Nm hauling 1,875kg of car. 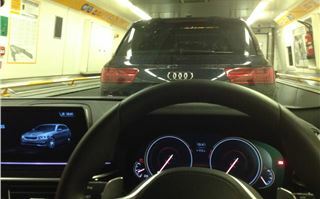 British roads crowded with Summer Sunday traffic gave a second chance to the satnav. Following its suggestions I circumnavigated a jam on the A1 only to emerge next to the Smart roadster that had stayed in the jam. (I blame a bimbling Auris driver unsafe to overtake on the back-roads for that.) 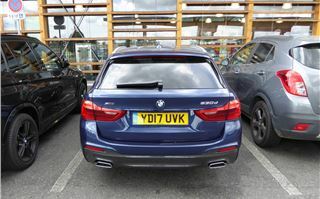 Then, getting round another jam on the M1 I first found myself in a new housing estate in Milton Keynes that the mapping knew nothing about and, when I got back onto the MI, I found myself behind the same Ford Freda MPV I’d entered the jam behind. To its credit, though, it did get me off the M25 to avoid the usual J13-J12 hold-up, and took me on a clear route via Staines and Thorpe Park. Stuck on the motorways in stop start traffic, the autonomous cruise control worked brilliantly as long as I stayed in lane. 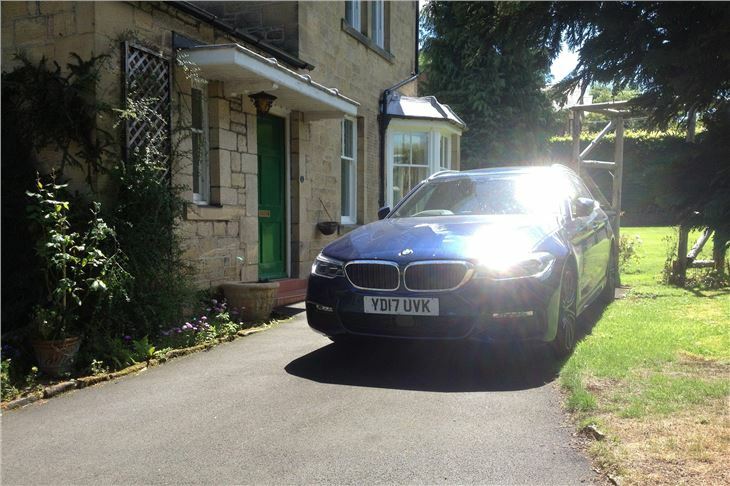 It would slow me down to a stop behind the car in front, switch off the engine, then when the car in front began moving again the BMW would start its engine and follow without any input from me. 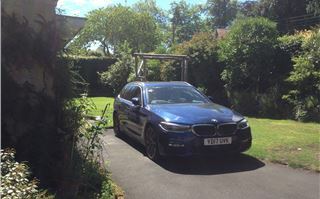 But even after the purgatory of a 300-mile journey that took six and a half hours, the new 530d xDrive Touring won me over. It’s simply brilliant cross-country. It’s comfortable. Once you acclimatise to the gadgets, they work well. And, on top of that, it delivered 47mpg on the dash meter. Even if that’s a few mpg out, it’s extraordinary for any 150mph car with a 0-60 of 5.4 seconds, never mind one that can carry 120 bottles of wine without breaking sweat. Once I really got to know the G31 530d it's probably the most satisfying car I’ve ever driven.